While the main focus of Conservation Volunteers Australia’s Volunteer Interpreters at Tidbinbilla and Namadgi is to engage with visitors about the park and its inhabitants, they are also contributing to a number of data collection programs including Waterwatch, Frogwatch and Platypus Count. 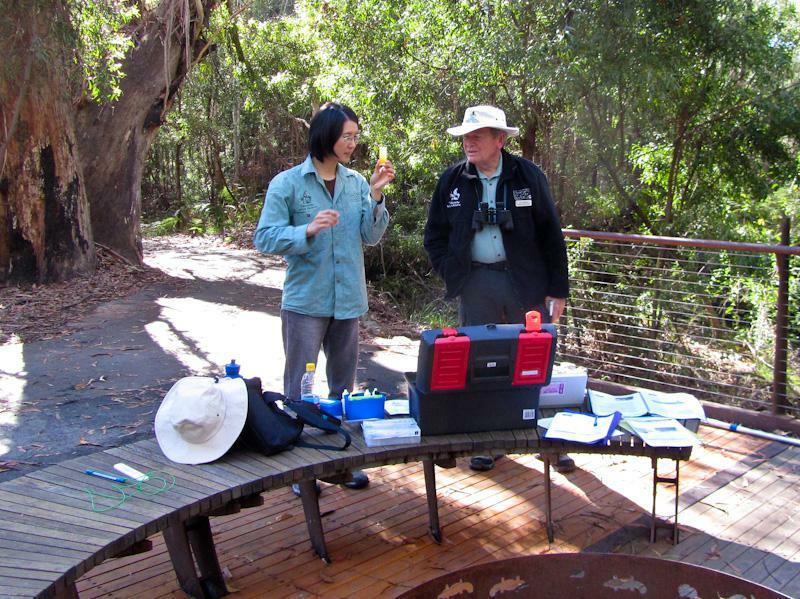 Volunteer Interpreters spend a significant amount of time in the Sanctuary at Tidbinbilla, being there every weekend, public holiday and during ACT school holidays to engage with visitors. So they know the wildlife and the place quite well. It seemed only natural to extend their activities to monitor wildlife and water quality to keep an eye on the place. The Sanctuary wetlands are fed from the ‘platypus’ weir on Tidbinbilla River. They form a series of five ponds that have been designed as much as is practical as a ‘closed system’. A concern exists about how the wetlands, with the large population of water birds, would affect nutrient levels in the river if the water were to return. A retention pond has therefore been incorporated to ensure that any water that makes its way back to the river in case of flooding is of high quality. Volunteer Interpreters have been monitoring the ponds since October 2008 and are especially focusing on water quality at the outlet of the overflow pond to monitor quality of the water returning to the river as well as on river itself to have a control sample to compare. 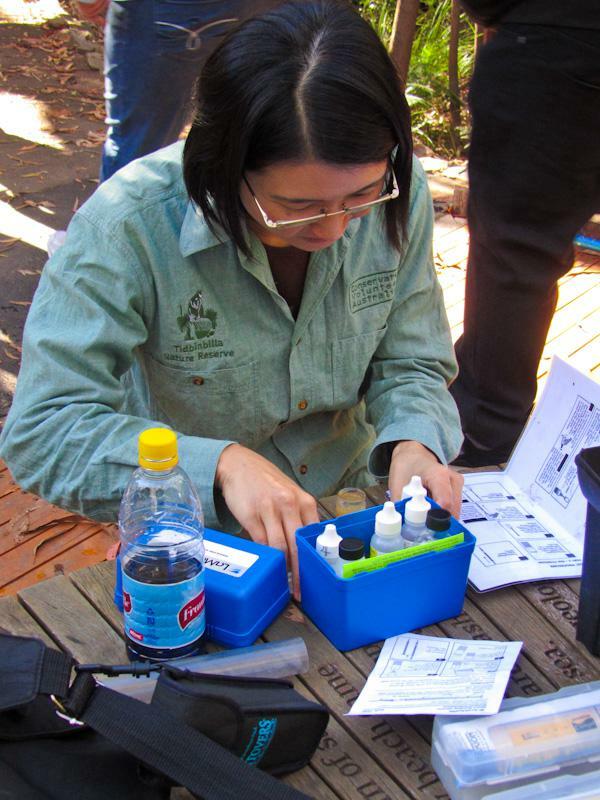 If you are interested in finding out more about the ‘Conservation Volunteers Australia’ or indeed any of our Waterwatch activities please contact Martin Lind on 6296 6400 or email waterwatch@sactcg.org.au.